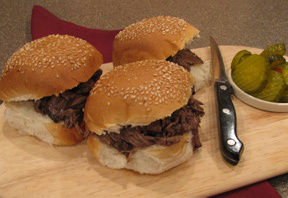 Suggested Beef Roast Types: Arm, Shoulder, Chuck, Bottom Round, or Rump. 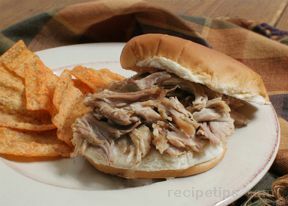 Cut the roast into 3 or 4 smaller size chunks and dredge in 1/4 cup of flour. Add 1 to 2 tablespoons of oil heated in a skillet on the stovetop and add the floured pieces of roast. Brown all sides of the meat on the stovetop. After browning the meat, place it in a 4 or 5 quart slow cooker. If the roast is not very thick, place the meat on a rack to lift it up so at least the top part is out of the liquid. 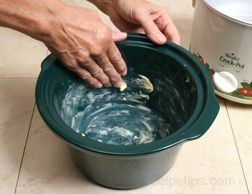 Pour grease from the skillet and scrape up any bits off the bottom and add them to the slow cooker. Combine the remaining flour, gravy mix, soup mix, and cold water. Stir until well blended. Pour the gravy mixture over the roast. Be sure that the meat is not completely covered with liquid so that it can be exposed to the steam during the cooking process. 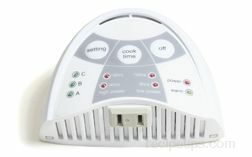 Cover, turn on high, and cook for 1 hour; then turn down to low and cook for 6 to 8 hours. 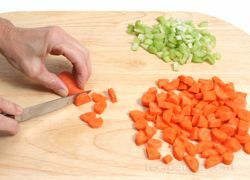 If it will not be possible to turn it down after an hour, begin the cooking process on low and cook for 8 to 10 hours. 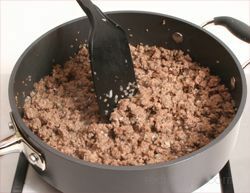 The meat should be tender when done and should have an internal temperature of at least 145°F. 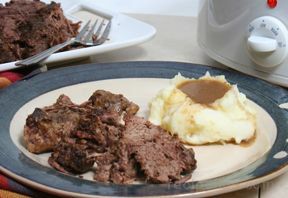 Remove the meat from the slow cooker and check thickness of the liquid to use as gravy. 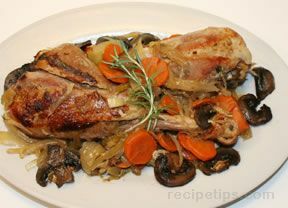 If it is too thick, add a little water, turn slow cooker on high, and cook until well heated. If the liquid is too thin, make a thickener of 1 tbsp. of flour and 1/2 c. cold water. 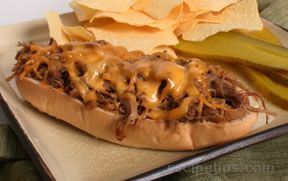 Mix well and then add a little at a time to the gravy while cooking on high in the slow cooker. Add thickener until the gravy is the desired consistency. 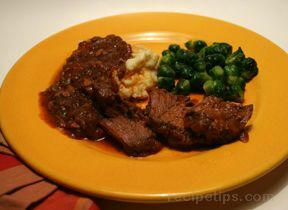 The gravy can also be poured into a saucepan and thickened on the stovetop. 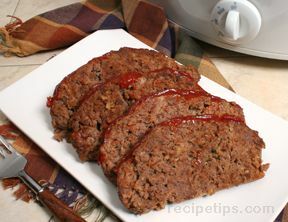 Slice the meat or pull it apart into small pieces. 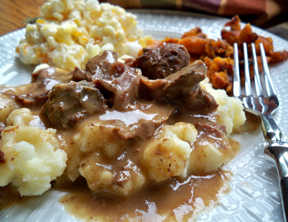 Serve with the gravy and mashed or un-mashed potatoes. 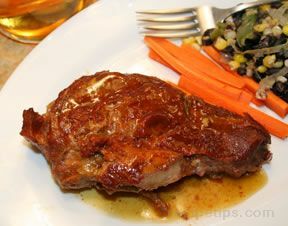 "Simple recipe and it was so flavorful. I will be using this recipe a lot. 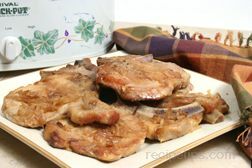 I am going to try this recipe with a pork roast also." 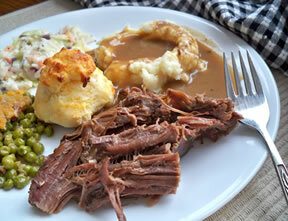 "It is great to come home to a supper that can be served with minimal effort. I just made instant potatoes and made a quick gray from the drippings. The kids and my husband loved it." "LoveLoveLove! Nice not to use gravy in a jar just because I used a crock pot. Gravy turned out great." 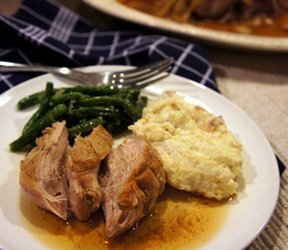 "This roast recipe was very moist and the gravy was perfect. 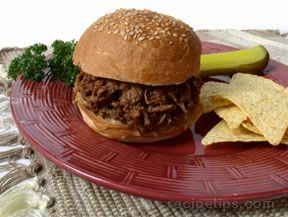 I used beef onion & mushroom dry soup mix and it worked very well." "I have used this recipe twice. The first time I made it I followed the directions exactly and it was excellent. It was nice to have gravy right out of the crock pot. Because I love au jus so much, the second time I added some beef broth to it, making it runnier. 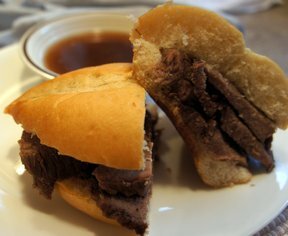 I sliced up the beef and made hoagie's and had au jus to dip it in. Awesome comfort food recipe." 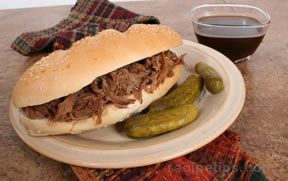 "This slow cooker roast beef was delicious, and it was so simple to make, which is important to me since I'm not much of a cook. 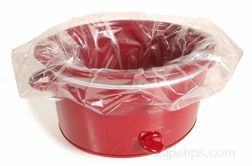 The crock pot is a great invention!" 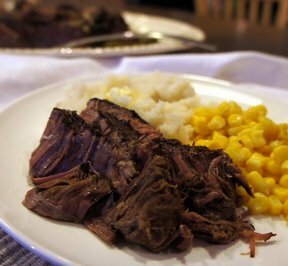 "I always have trouble with roasts coming out too dry but this roast, cooked in a crock pot, was so moist and it just fell off the bones. Also, the juices made very good gravy. 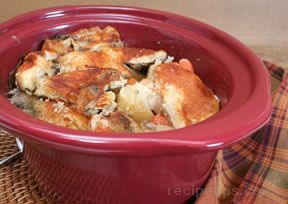 Cooking it in the crock pot is also perfect for hot summer days because you don't have to heat the house by using the oven!" 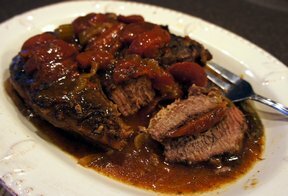 "This is another outstanding beef recipe. I am not a cook, by any stretch, and I made it perfectly. My wife and mother in law couldn't get over how much flavor it had." 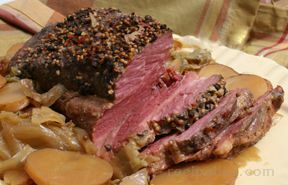 "This is one of the best roast beef dishes I've ever had and you don't have to use an expensive cut of meat to get good results."